I WANT ANOTHER BABY! Sound familiar? There is nothing more heartbreaking than wanting a child and not being able to conceive or losing the fetus shortly after conception. I have always wondered if there would be long term effects from taking the birth control pill on my body. We are starting to learn that years of taking the pill deregulates the body and its natural ability to “cycle”. I am struggling to conceive my second child. Could this be because my hormones are not balanced? I have asked my doctor over and over why I am struggling to conceive. His feedback is always the same, “you are over the age of thirty now”. I understand that I am not a spring chicken anymore, but I want to know why I am not having a normal cycle and why I’m struggling to have another baby! There are many books on the imbalance of hormones and one that I found most beneficial is the “The Miracle of Natural Hormones”. This book focuses on the use of natural hormones and treatments that can care for such conditions as infertility, heart disease, weight gain, migraines and many other symptoms. Dr. Brownstein states in his book, “The uses of natural hormones are much more effective than synthetic hormones.” The book also stresses the importance of eating a proper diet and drinking adequate amounts of water to help the body’s healthy hormonal system. 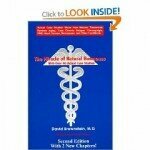 The Miracle of Natural Hormones, by David Brownstein, M.D., shows how the use of natural hormones and other natural treatments can treat or even reverse many chronic conditions such as heart disease, PMS, menopause, chronic fatigue syndrome, fibromyalgia, migraine headaches, hypothyroidism and many more conditions. Dr. Brownstein uses actual case studies taken from his own medical practice to describe his unique holistic treatments which include the use of the following hormones: natural thyroid, DHEA, natural progesterone, natural estrogens, natural testosterone, human growth hormone, melatonin, pregnenolone and natural hydrocortisone. Dr. Brownstein states that the use of natural hormones are much more effective than synthetic hormones. In addition to describing the benefits of natural hormones, this book also contains chapters on importance of drinking an adequate amount of water and eating a proper diet in order to insure a healthy hormonal system. Finally, this book gives specific recommendations on the use of vitamins and minerals to support the body’s immune system. After doing more research, I am learning more about Hypothyroidism. There are many symptoms of this disease and it is not an easy condition to detect. The symptoms of hypothyroidism, as detailed by the Merck Manual, the American Association of Clinical Endocrinologists, and the Thyroid Foundation of America include: having trouble conceiving a baby, having irregular menstrual cycles (longer, or heavier, or more frequent), gaining weight inappropriately, unable to lose weight with diet/exercise, hair is coarse and dry, breaking, brittle, falling out, skin is coarse, dry, scaly, and thick, moods change easily, and many other symptoms. Are you experiencing any of the above symptoms and/or suspect you may be suffering from a hormonal imbalance such as hypothyroidism? If so, BioVeda Health and Wellness Centers may be able to help. Contact a center near you today!